This item is in-stock and ready to ship! 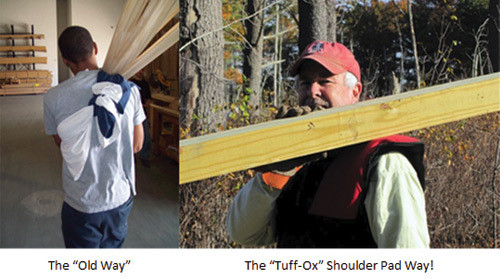 OX-MEN TOOL CO | If you or your employees use the shoulder as a daily tool to move products, you are fully aware of the ongoing pain, bruising, scratches, and cuts which the shoulder suffers from this practice. 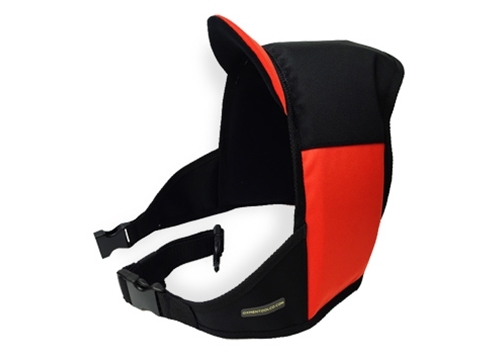 Our products help to reduce or eliminate the effects of hard work on the worker's shoulder. 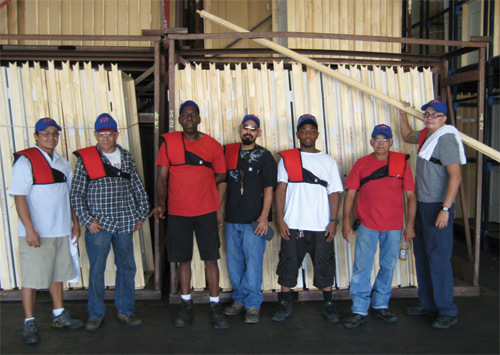 Consider scaffold workers and erectors who carry frames and planks daily. The shoulders of these people take a beating from the daily moving of scaffolding. Our construction grade shoulder pads are taking the edge off the hard metal and wood weight on the shoulders. The testimonials from workers using our shoulder pads just keep coming!